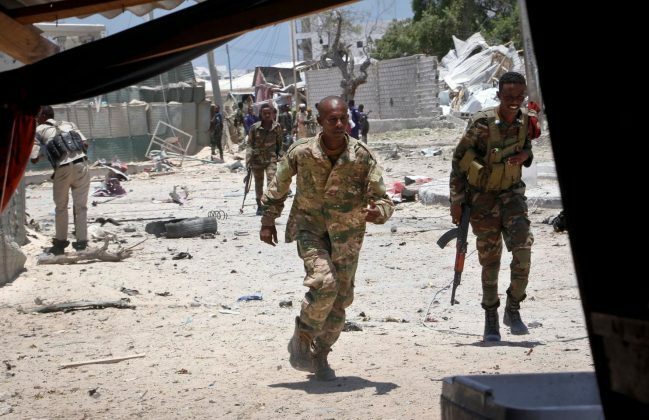 MOGADISHU – A Somali police officer says five people, including the country’s deputy labor minister, have been killed in an Islamic extremist attack on a government building in the capital. “Al Shabaab stormed the building where two ministries including the ministry of labour work. So far we know four people are dead but (the) death toll is sure to rise,” Major Abdullahi Nur, a police officer told Reuters. Eleven people were injured, Dr Abdikadir Abdirahman, director of Amin Ambulance Service told Reuters, adding some were still trapped inside the building and that it was not possible to rescue them because of an ongoing gun battle.